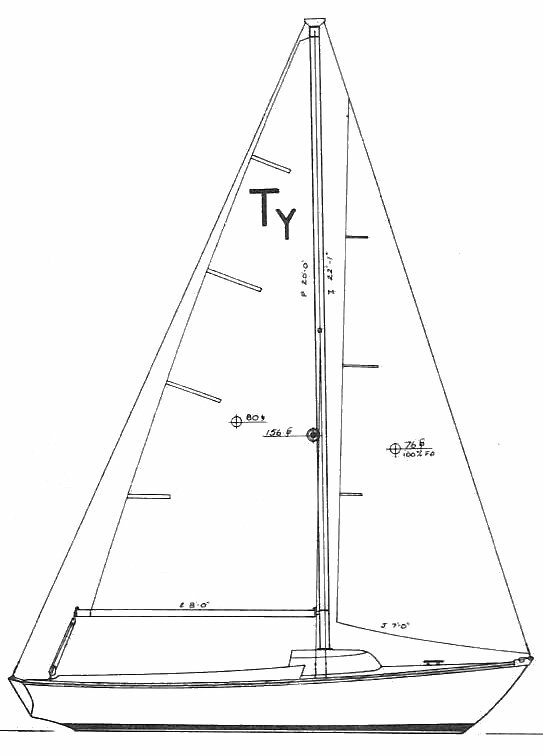 The DAYSAILER model has slightly larger (non self-bailing) cockpit than WEEKENDER model with a smaller cuddy, (no portholes) and a masthead rig. Early on (1974? ), a version of this design was offered with an open cockpit and no cabin or cuddy. The builder also called this the TYPHOON DAYSAILER. We have seen the sales literature and we also know that at least one was built that still exists.